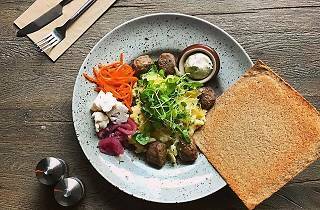 Sampling Swedish meatballs, served with buttery mash, lingonberry jam and a rich beef broth sauce is a must for any foodie visiting Stockholm. 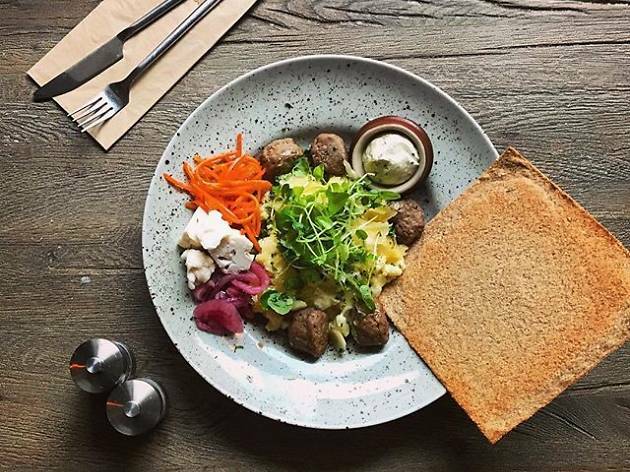 Avoid the tourist traps in the Old Town and head straight to the mighty Meatballs for the People in the hipster Södermalm district. Opened in 2013, it specialises in the classic dish, alongside some deliciously creative contemporary variations, including vegetarian options. The portions aren’t huge, but the decent selection of Swedish ales and European wines, alongside a bright interior with a sociable long wooden bench, all add up to a memorable experience. Time Out tip: You usually need to book a week in advance to guarantee an evening table for dinner, but it’s much easier to drop-in for lunch. There’s also a small deli here that sells packets of takeaway meatballs, so if you live in Stockholm or have access to a local kitchen, you can save some cash and embrace your inner Swedish chef.